Victory Venkatesh and Bollywood Superstar Salman Khan are close friends though they hail from different film industries. Venky’s daughter Aashritha Daggubati is getting married to Vinayak Reddy in a destination wedding in Fairmont Hotels, Jaipur tomorrow in the presence of limited guests and family members. Salman Khan paid a surprise visit to Jaipur and attended the pre-wedding bash of Aashritha Daggubati. 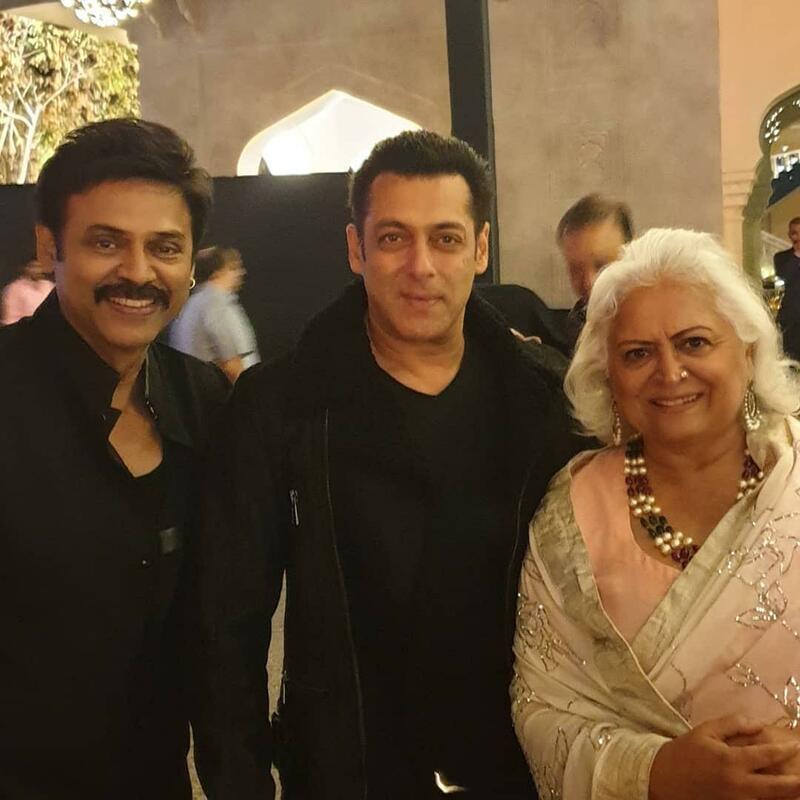 Salman Khan spent quality time with Venky and his family. Several Tollywood celebrities already flew to Jaipur for the lavish destination wedding. Venkatesh will host a lavish reception in Hyderabad for Tollywood circles next week. Venkatesh is currently busy with the shoot of Venky Mama which will release during Dasara. Venkatesh to host Bigg Boss 3?